In keeping with its commitment to innovation, Ortlieb has just introduced another PVC-free line of products made of a polyurethane-coated polyester fabric. The base fabric of the products in the Free Line is coated with polyurethane in a manner that ensures lasting waterproof qualities. 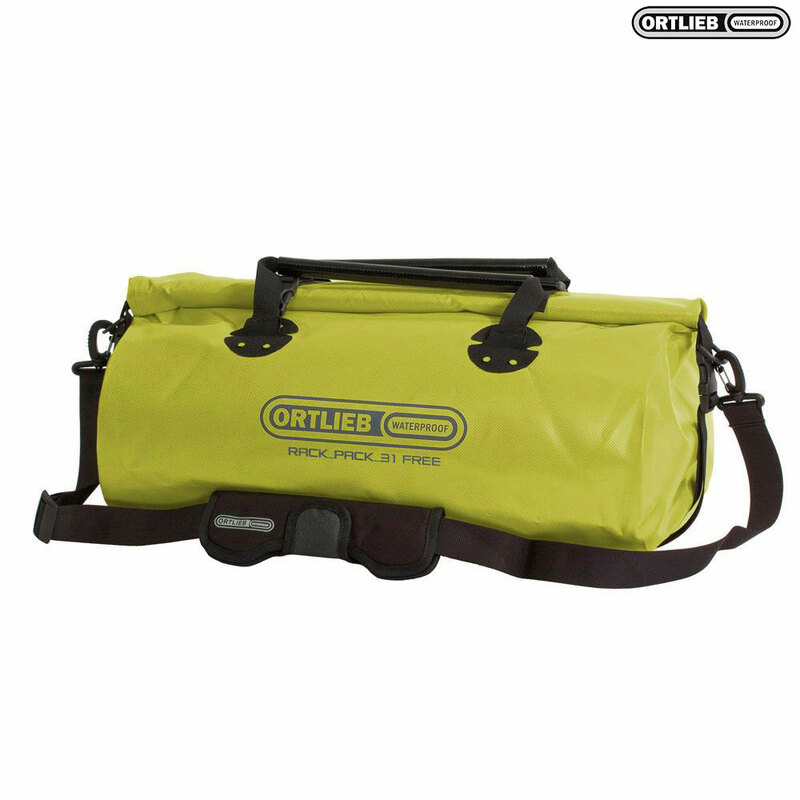 The result is a waterproof and durable canvas material that is as outstanding as the conventional Ortlieb canvas material when it comes to durability and service life. The products in the Free Line are available in classic black and two other appealing colours. The PVC-free version of the universal travel and sports bag: the Ortlieb Rack Pack Free can be easily combined with Back Rollers and Sport Rollers on your rear bike rack. The durable, waterproof Rack Pack is also cherished among motorcycle and canoe enthusiasts. The large opening makes it easier to access the bag's interior. The bag's large payload and volume adjustability - thanks to its compression belts and roll closure - add even more convenience. The removable, padded shoulder belt and carabiners increase the Rack Pack's comfort and practicality.